Have you ever wondered what makes America unique in comparison to other nations? Well, it is our Founding Principles, America's First Principles. When America’s Founding Fathers undertook the task of writing the United States Constitution, they wanted to establish a "novus ordo seclorum" which means "a new order of the ages." The phrase is sometimes falsely translated as a "New World Order" by people who believe in a conspiracy behind the design. But they are wrong. In fact, the origin of the phrase and its meaning is a reference to the fourth Eclogue of Virgil. Yes, a poem. Medieval Christians read Virgil's poem as a prophecy of the coming of Christ. Written in the Augustan Age, although pre-Christian, it was viewed as a golden age preparing the world for the coming of Christ. The great poets of that age were viewed as a source of revelation and light for the Christian mysteries to come. The word seclorum does not mean "secular" as one might assume, but is the genitive (possessive) plural form of the word saeculum, meaning (in this context) generation, century, or age. Saeculum did come to mean "age, world" in Christian Latin. And yes, the term "secular" is derived from it through the term "secularis." The adjective "secularis," meaning "worldly," is not equivalent to the genitive plural "seclorum" which means "of the ages." Because of this, the motto "novus ordo seclorum" should be translated as "A new order of the ages." It was proposed by Charles Thomson, a Christian Latin expert who was involved in the design of the Great Seal of the United States. He used this phrase to signify "the beginning of the new American Era" which our Founding Fathers saw as starting when the Declaration of Independence was signed. What they wanted is what we should all want. They wanted a new order where free people can determine their own destiny without the hindrances, restrictions, penalties, and threats by an oppressive government. The "new order" that they envisioned was a world where all mankind is free of the shackles of previous eras. Their idea of a new order, where all are free from oppression, can be found in the principles set forth in the Declaration of Independence -- the foundation upon which our Constitution would be built. The proposition that "all men are created equal" was a wholly new idea. Especially for a legitimate government in the history of man, and the same applies to declare "rights" as "inalienable." Those rights being "life, liberty, and the pursuit of happiness," meant that an objective standard of justice was to forever guide our experiment in self-government. We did not need a King, a Queen, a Dictator, or some all powerful committee such as in a Communist/Socialist state to tell us how to live. Equality was the foundation for our government. While others in the world at the time did not see how a legitimate government could not have a Monarch or some sort of supreme ruler, Americans saw things differently. We saw the world as a place where a free people did not need a government to give us consent. We saw a world where no one should make claim to rule. And yes, there is a vast difference between "rule" and "govern". Slaves are rules, while free people have a government that governs the affairs of state and not fellow countrymen. All are equal in their rights. These founding principles implied a certain kind of relationship between "rulers" and "ruled," thus providing the justification for the complaints against the King of England. The founding principles articulated in the Declaration of Independence served, and really still continues to serve today, in the words of Thomas Paine: "as an expression of the American mind." So when people say we are not a Christian nation, explain to them that we were founded on Christian values. Our founding principles prove that. Below are the founding principles which our government was built upon. The principle that each person is born with freedom from arbitrary or unjustified restraint. A system of dual sovereignty. The people delegate certain powers to the national government, while the states and the people retain those powers not delegated. The philosophy that the government only has those powers given to it in the Constitution and no more than that. If a power is not listed, the government does not have it. If not specifically stated in the Constitution, it does not exist. A republican system where the people select representatives to represent their interests as they make and carry out laws. A system where individuals have the right to obtain and control possessions, as well as the fruits of their own labor. The understanding that there is no natural class of rulers among people, and that all citizens are born with the same unalienable rights to life, liberty, and the pursuit of happiness. And yes, also in order to ensure each branch can stop the others from growing too powerful. How did we arrive at such principles of government? Our Constitution, that which governs our government, has been built around the precepts of America’s First Principles. They, America's First Principles, are the foundation of American freedom and liberty. While rejecting oppression, America’s Founding Fathers established the American republic on our First Principles to secure our freedom and liberty. 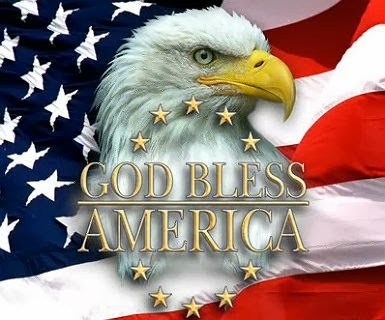 We are the first, perhaps the only nation that holds as self-evident truths that all men and women are created equal and are endowed by our Creator with certain unalienable rights; and that "governments are instituted to protect those rights and derive their just powers from the consent of the governed." The people rule the government! The government does not rule the people! 1) The rule of law is a First Principle that mandates that "the law governs everyone." It goes to the heart of our systems of government -- demanding that no man is above the law!" 2) Unalienable rights recognizes that "everyone is naturally endowed by their Creator with certain rights." Rights come from God, not government. 3) Equality is recognized that "all persons are created equal." 4) The Social Compact recognizes that "governments are instituted by the people and derive their just powers from the consent of the governed." All political power emanates from the people. 5) Limited government means that the protection of unalienable rights is the legitimate purpose and limits government power. It means that the government should be strong enough to fulfill its purpose, yet limited to that purpose and no more for fear of a monarchy or dictatorship. We have a limited representative republic because the Founders believed in limited government in the form of a representative republic. The reason is that they distrusted a direct democracy, because they equated it to mob rule. 6) Private Property Rights - The Founders believed private property rights were intertwined with liberty. True liberty would never allow the government to come at any time and take a person’s property. That would be "Divine Right," which of course is what they had fought eight bloody years to escape. 7) The right to declare revolution! Yes, to revolt when the other First Principles are being infringed upon by the government is one of America's First Principles. America's First Principles are what our nation was built upon. Our Declaration of Independence explains how those foundational ideas were the philosophical basis of the American Revolution. Once independence was secured, the Founding Fathers labored to ensure that the Constitution of the United States became the living embodiment of a government based on America's First Principles. America's First Principles are those values that enable us to live free with liberty.